Love is definitely all around for Isuzu Philippines Corporation (IPC) as they have recently given away four D-MAX pick-up trucks and mu-X SUVs for their “Isuzu Drive Me Home Raffle Promo”. 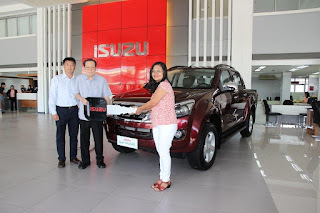 From February 12-24, a total of 12 winners from the National Capital Region (NCR), Luzon, Visayas and Mindanao received either a brand-new vehicle or a luxurious vacation package following their purchase of an Isuzu Crosswind, D-MAX or mu-X. The Isuzu Drive Me Home Raffle Promo is part of the company’s continuous celebration in achieving the 200,000 unit sales feat in the country. The winners of the brand-new Isuzu D-max 4X4 LS AT LE—which was awarded by no less than IPC Vice President Daisuke Inaba—were Teresita Rojo Guzman (Isuzu Pasig); Maria Lea Aungon (Isuzu Batangas); Michael Fegidero (Isuzu Bacolod) and Miguelito Abrasaldo (Isuzu CDO). Meanwhile, the keys to brand-new Isuzu mu-X 4X2 LS-A AT 3.0 are now at the hands of Ma. Marichu Baguion (Isuzu Manila); Jonel Nuez (Isuzu Bulacan); Antonio Mosqueda (Isuzu Davao) and Mary Am Christine Monteclar (Isuzu Mandaue). Four lucky Isuzu mu-X buyers also won vacation package for four to Amanpulo, Palawan; winners were Magdalena Collado (Isuzu Alabang), Homer Espiritu Jr. (Isuzu Pangasinan), Ester Gladys Arillo (Isuzu Bacolod) and Maria Aireen Sarsoza (Isuzu Davao). 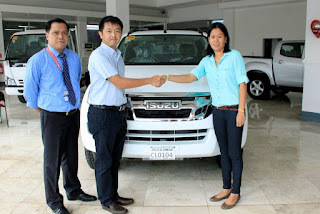 Last January, eight buyers of Isuzu units brought home a brand new D-MAX and mu-X after purchasing an Isuzu Crosswind and D-MAX, respectively. Other than that, some four lucky mu-X buyers were given a vacation package for four to Amanpulo to fight the chilly climate last month. 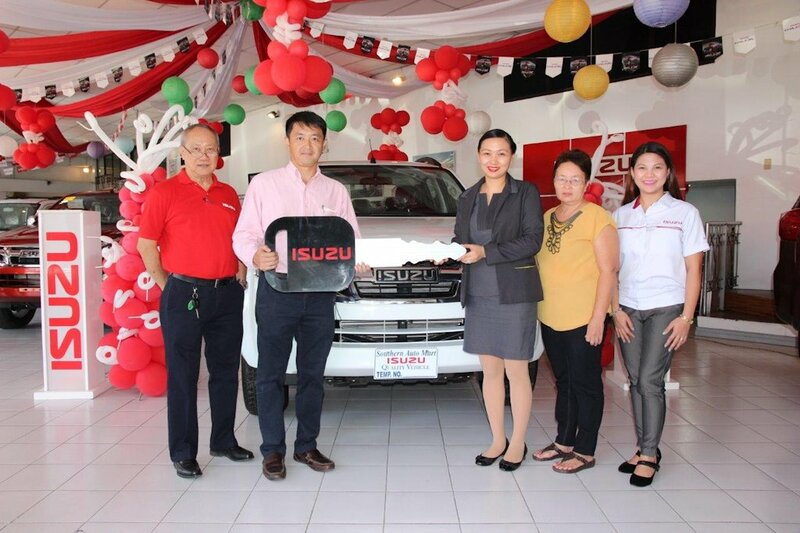 IPC has also drawn 40 winners of P50,000 worth of coupons that can be used to purchase Isuzu supplied parts, lubricants, accessories, and Best Value Package (BVP) in any authorized IPC dealership nationwide.